Find all the best Bargain Crazy deals, discounts and voucher codes here. Discover bargains across all categories. Neon Candy Tablet Case ONLY 59p! Nike England Socks, BARGAINCRAZY - Save 94%! The online retailer offers you fantastic value online on the brands you love at low prices. They specialise in offering your favourite brands at up to 80% discount of the original catalogue price. On their website you will find everything from ladies fashion to menswear, childrenswear, homeware and electrical, all at clearance prices. 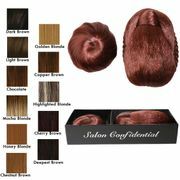 You can be rest assured that all the products featured online are 100% genuine. Aside from stocking on top brands like Adidas, FCUK, Lipsy, Nike and Superdry, they also stock a wide selection of new and refurbished electrical stock, all of which come with a 12 month guarantee as standard. Here at Latest Deals you will find all the best and the latest Bargain Crazy sales, discounts, voucher codes and discount codes shared every month by our community of bargain hunters! Find out why this YouTuber love Bargain Crazy and what are the amazing things she bought on the website! What does Bargain Crazy sell? How do I contact Bargain Crazy? For general enquiries and questions their Help Menu contains answers to many frequently asked questions. You may also email them at enquiries@bargaincrazy.com. You may call them on 0344 811 8114. What are the delivery options for Bargain Crazy? Delivery Time: 2-3 or 3-5 working days. Cost: £19.95 per order for larger items that require a two man delivery. Delivery Time: 10-14 working days. Before accepting your order they will show you the delivery charge. Their exclusive free standard delivery offer only applies to items that qualify for standard delivery and does not apply to larger items. How do I return an item to Bargain Crazy? Unused, unwanted purchases may be returned within 30 days of receipt. Self-assembly items cannot be returned if they have been partially or fully assembled. If your product is incorrect or faulty, contact their customer services team before returning your item(s). To return an item, simply complete the returns form that came with your goods including the reasons why you are returning the product(s) to them. Put all items for return into the same parcel and ensure that you include the returns form then choose one of their returns options to send the parcel to them within 30 days. Standard Collection: They offer a courier collection service for unsuitable returns for just £1.99 via Yodel. Collect+: You can now use Collect+ to return parcels to Bargain Crazy for only £1.99. To do this, you will need to use a Collect+ return label which you can get by contacting their Customer Services team. For more information, read their full Returns Policy page. Plus, read our Official Guide to Cheap Clothes including a list of the best retailers for discounts, how to find cheap designer clothes, secret sale groups and even how to get it all for free.